Member of the political bureau of Hamas movement, Ezzat Resheq considered that the continuation of the negotiations and security coordination with Israel is a crime that must be stopped. 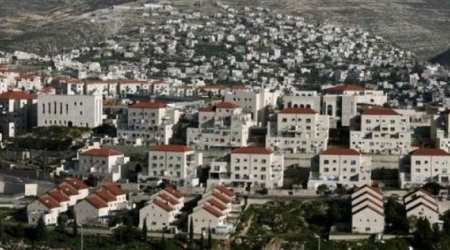 Resheq said in a brief statement on Wednesday: "The occupation authorities are proposing a plan to build 20 thousand new settlement units in the West Bank under the cover of the negotiations with the Palestinian Authority." He called for immediately putting an end to the negotiations and the security coordination with the occupation. Hamas movement considered that the resignation of the negotiating team, which represents the Palestinian Authority in Ramallah, from negotiations with the Israeli side, means nothing. Dr. Sami Abu Zuhri, a spokesman for the movement, said that "the announcement of the resignation of the Palestinian negotiating delegation means nothing. What is required is putting an end to the negotiations and not replacing the negotiating team. Besides, this step cannot be anything more than a media stunt." Palestinian Authority Chairman Mahmoud Abbas stated that the members of the Palestinian negotiating team resigned because the negotiations achieved no progress, as he said. The acting Palestinian Authority chief, Mahmoud Abbas, says his negotiators have resigned from US-brokered talks with Israelis over Tel Aviv's ongoing settlement construction. On Wednesday, Abbas said his negotiators have resigned over the lack of progress in the US-brokered talks as a result of continued construction of illegal settlements by Israel. 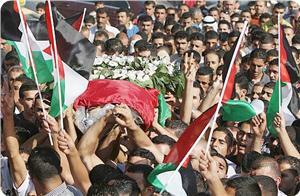 Palestinian and Israeli negotiators began a fresh round of talks in July. Previous talks between Palestinians and Israel broke down in September 2010 after Tel Aviv refused to freeze its settlement activities in the occupied West Bank. The acting PA chief, however, said the negotiations will continue even if the Palestinian negotiators stuck to their decision. Since the resumption of the so-called peace talks, Israel has announced plans for building several thousands of new settler units in the occupied West Bank and East al-Quds (Jerusalem). A senior PA authority official said last week that there will be no direct talks with Israel if it keeps on expanding illegal settlements in the occupied West Bank. "The Israeli side is determined to continue its settlement [construction] and we cannot continue negotiations under these unprecedented settlement attacks," said the official, who spoke on condition of anonymity, following a meeting between Israeli and Palestinian negotiators. Last month, a large number of Palestinians from different political movements took to the streets of the West Bank city of Ramallah to call on the PA to pull out of the talks with Israel. The protesters said the talks are useless and Abbas must withdraw from the negotiations. They also demanded the PA to take the regime in Tel Aviv to the International Criminal Court for its crimes against the people of Palestine. The presence and continued expansion of Israeli settlements in occupied Palestine has created a major obstacle for the efforts made to establish peace in the Middle East. On Wednesday, Yuval Steinitz said Tel Aviv should continue the construction activities in “an intelligent and coordinated way." Steinitz made the comments one day after Tel Aviv announced plans for the construction of some 24,000 new settler units in the occupied Palestinian territories. The plans drew international condemnation, including from Israel's longtime ally, the United States. spokeswoman, Jennifer Psaki, on Tuesday, adding, "We were surprised by this announcement and are currently seeking further explanation from the government of Israel.... We do not accept the legitimacy of continued settlement activity." 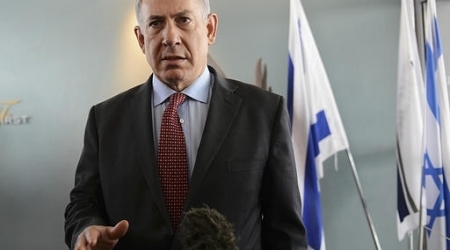 Moreover, the criticism prompted Israel's Prime Minister Benjamin Netanyahu to reconsider the decision, noting that at a time when Tel Aviv is trying to persuade the West and Russia to take its interests into consideration, Israel must be coordinated in its actions. More than half a million Israelis live in over 120 illegal settlements built since Israel’s occupation of the Palestinian territories of the West Bank and East al-Quds (Jerusalem) in 1967. All influential bodies in the United States are supporting the continuation of illegal Jewish settlement construction in the occupied Palestinian lands, an analyst tells Press TV in an interview. “All the centers of power in the United States are lined up behind Israel no matter what it does,” Henry Norr said on Wednesday. “The power of the pro-Israel forces in this country, the so-called Israel lobby, the power of the pro-Israel American media and the US Congress,” he added. “It’s the American government and the Israeli government lined up together against the poor powerless Palestinians. 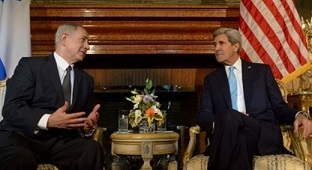 That’s the way it’ been since before the Oslo agreement and more so today,” he stated. The United Nations and most countries regard the Israeli settlements as illegal because the territories were captured by Israel in a war in 1967 and are hence subject to the Geneva Conventions, which forbids construction on occupied lands. “...The problem is the American government is Israel’s agent. They are acting and they’ve acted that way all along and through this so-called peace process,” said Norr. A rights organisation based in Israel has accused the government of promoting "racist" policies with its decision to establish a Jewish town in the place of a Bedouin village. The Israeli cabinet on Sunday approved the establishment of "two new communities in the Negev" desert in southern Israel, naming them as Kesif and Hiran. According to Suhad Bishara, director of the land and planning unit at Israeli Arab rights group Adalah, "in order to build Hiran it will accelerate the demolition of the unrecognised Umm el-Hieran village in the Negev and evict its residents". evicting the Bedouin residents showed that the government was motivated primarily by "racist policies" against Arab Bedouin citizens. The Israeli housing and construction ministry, which is responsible for implementing the programme, said that the accusations were unfounded. "So far their claims have been rejected by different court panels and by a number of building and planning committees, each and every one of which ruled that there is nothing to these claims or to (Bedouin) claims of ownership of the land on which Hiran is to be built," ministry spokesman Ariel Rosenberg said in a written response to AFP news agency. "So any claim of racism should be dismissed out of hand - the law is equal for everyone," he said. A bill calling for the relocation of 30,000-40,000 Bedouin, the demolition of about 40 villages and confiscation of more than 70,000 hectares of Negev land was approved by the government in January and by parliament in a first reading in June. The bill has to pass two more readings in parliament before becoming law. Israeli minister of foreign relations and strategic affairs Yuval Steinitz has affirmed that construction works in settlements in occupied Jerusalem and the West Bank were ongoing. He said in a radio interview on Wednesday that the construction was progressing in complete coordination with premier Benjamin Netanyahu. The Israeli minister’s statement followed Hebrew press reports claiming that Netanyahu had ordered his housing minister to stop construction of more than 20,000 housing units in those settlements following international pressures and Palestinian threats to withdraw from negotiations. In a related context, the Israeli occupation authorities continued building 36 new housing units in Beit Hagai settlement in Al-Khalil. Eyewitnesses told the PIC that the construction was ongoing in the southeastern area of the settlement on the land of Rihiya village, south of Al-Khalil. The IOA had expanded the main entrance to that settlement a few months ago after seizing more Palestinian land in the area. 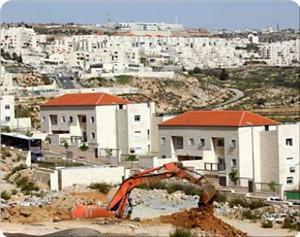 The IOA declared that more than 3,600 housing units would be built in the West Bank including 840 units in Al-Khalil. 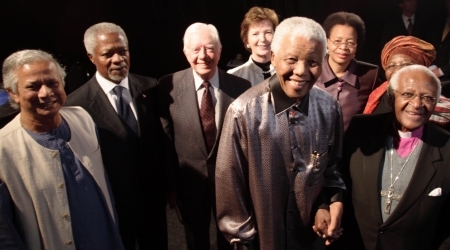 Nelson Mandela and Desmond Tutu are honorary Elders. Israel has yet again approved the construction of more illegal settler units in East Jerusalem. During a cabinet session on Sunday, Tel Aviv gave the go-ahead to set up two new towns of Hiran and Kassif with 14,500 settler units in the southern Negev region, the Israeli daily Ha’aretz reported. Hiran is set to be built with 2,500 settler units at the site of the Bedouin villages of Umm al-Hiran and Atir. According to Israeli police, Bedouin villagers and environmental activists took to the streets in protest against the new expansionist plan. Kassif, which is expected to be built with 12,000 housing units, will be settled mainly by ultra-Orthodox Israelis. Israel has built more than 120 settlements in the Palestinian territories of the West Bank and East Jerusalem since its occupation of the lands in 1967. Tel Aviv continues with expanding the settlement construction. More than half a million Israelis live in the illegal settlements across the occupied Palestinian territories. On November 3, Israel published tenders for the construction of more than 1,800 new settler units in the occupied West Bank and East Jrusalem. Much of the international community regards the settlements as illegal because the territories were occupied by Israel in a war in 1967 and are hence subject to the Geneva Conventions, which forbid construction on occupied lands. A statistics report prepared by Quds Press International news agency showed that fifteen Palestinians died since the resumption of the negotiations, three months ago. The negotiation between the Palestinian Authority and the Israeli occupation was resumed in Washington on July 30, for the first time after it had been frozen for three years. Yet the Israeli violations and attacks against Palestinian civilians and their properties and sanctities have continued. The statistical report said that three Palestinians from the Jenin refugee camp died a few days after the resumption of the negotiating sessions, after being shot by Israeli forces. The Israeli occupation forces continued killing and attacking the citizens and destroying the Palestinian properties, indifferent to the ongoing negotiating sessions. On August 26, the IOF special forces committed a massacre in the Qalandiya refugee camp in Ramallah, wounding about 20 Palestinians and killing 3 others. After the resumption of the negotiations, the Israeli army assassinated 4 Palestinian resistance fighters from the Qassam Brigades. The deliberate policy of medical neglect has also continued in the occupation jails and recently led to the death of patient captive Hassan al-Turabi from Nablus. The PA ignored Palestinian factions' calls for ending the negotiations, in response to the occupation persistent crimes which led in the past three months to the death of 15 Palestinians, detention of hundreds and displacement of large numbers of residents from their homes that had been confiscated or demolished, not to mention the Judaization projects that continued in Jerusalem unabated and the settlement plans which included the construction of more than 1,700 new housing units. U.S. Secretary of State John Kerry stated that Israel needs to withdraw from the Jordan valley and from Jordanian-Palestinian borders, adding that should the situation remain as it is, a third Palestinian Intifada will take place. 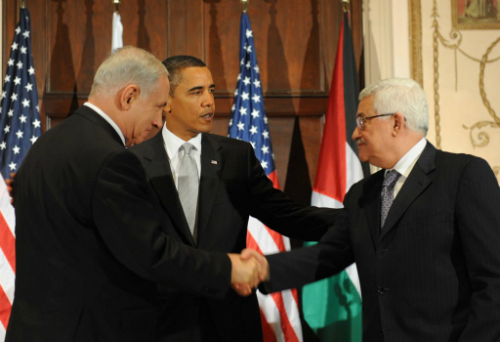 “The alternative to peace talks is chaos”, he said, “Does Israel wish for a third Intifada? Should we fail to achieve peace, Israel will face further isolation”. Kerry said that Israel and the Palestinians need to find a solution to the issue of Israel's settlements in the occupied territories, and that the army needs to withdraw from the occupied territories, including the Jordan Valley, and border areas between Palestine and Jordan. Kerry stated that should direct talks fail, and a new Palestinian Intifada takes place, Israel’s isolation around the world would increase, and “more groups will be trying to delegitimize it”. He added that Israel and the Palestinians need to thoroughly discuss the future of Israel’s settlements in all territories captured during the June 1967 war. The Palestinian leadership in the West Bank recently threatened to quit direct talks with Tel Aviv due to its ongoing violations, including ongoing invasions that recently led to dozens casualties, and its ongoing illegal settlement construction and expansion activities. The U.S. official urged Israel and the Palestinians to overcome the obstacles peace talks are facing, and to seriously work on achieving a peace agreement by the end of April 2014. He further stated Israeli Prime Minister Benjamin Netanyahu and Palestinian President Mahmoud Abbas are committed to peace talks. Yet, Kerry demanded the Palestinians to recognize Israel as a Jewish State, a demand set forth by Netanyahu and his extremist coalition partners. Earlier on Thursday, Kerry held a meeting with King Abdullah of Jordan, and informed him that direct talks managed to create what he called “some clarity on certain issues”. Jordan said peace in the Middle East is a high priority issue, especially the issue of Palestinian refugees, including those living in the kingdom, the future of Jerusalem, and Islamic and Christian holy sites. Israel refuses to withdraw from the Jordan Valley, from occupied East Jerusalem, and from various important parts of the occupied West Bank, and insists on continuing the construction and expansion of its illegal settlements in direct violation of International Law. The findings of Swiss scientists that Yasser Arafat has been poisoned with polonium would worsen the already corrosive atmosphere of the faltering peace negotiations, the Guardian reported. The Paper went on saying that the test results do not prove Israel murdered Palestinian leader, but their main effect could be to deepen anti-Israel sentiment. 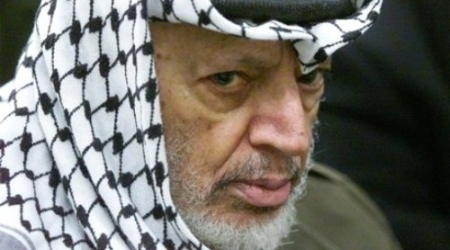 Speculation that Arafat's sudden illness was the result of foul play by Israeli secret services took hold even before the Palestinian leader died in a hospital near Paris on 11 November 2004, the paper reported. Israel has always categorically denied any involvement. The explosive conclusions of Swiss scientists, who conducted tests on samples taken from Arafat's exhumed corpse last November, will reignite accusations against Israel and deepen the widespread conviction among Palestinians that a man they saw as a revolutionary hero was murdered. The paper noted that the international community will have little enthusiasm for anything that could disrupt the delicate peace process, which commands negligible support among the Palestinian public and is already stuck on the starting blocks. U.S. Secretary of State, John Kerry, has decided to stay an extra day in the Mideast on his latest trip to salvage Israeli-Palestinian peace talks, Haaretz newspaper reported. Kerry said in a joint interview with Israeli and Palestinian TV networks that will air later Thursday that he plans to return to Israel on Friday for another meeting with Israeli Prime Minister Benjamin Netanyahu, the newspaper added. Meanwhile, Kerry landed on Thursday in the Jordanian capita Amman, Jordan, which was supposed to be the final stop in his two-day Mideast trip. He had not originally been scheduled to return to Israel. 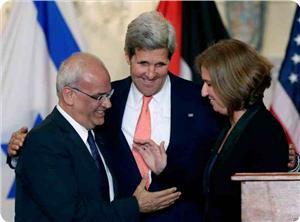 Kerry brokered the re-start of Israeli-Palestinian peace talks, which began three months ago. But little progress has been made in the U.S.-brokered talks which are supposed to produce an agreement by the end of April 2014, Haartez concluded. Political commentator and co-founder of human rights organization Palestinian and Jewish Unity, Bruce Katz, said the PA should cease negotiations with Israeli officials and proceed to international courts, in an interview with Press TV on Wednesday. “The Palestinians should not be sitting at the table with this particular regime and basically there should be no talks with any Israeli government until there is a regime change in Tel Aviv,” he continued. “There is nothing that can be done with Benjamin Netanyahu except to go before international courts, and I think in particular before the International Criminal Court (ICC), because as I have said before the Israeli politicians and… Benjamin Netanyahu… are subject to accusations on the issue of war crimes,” Katz added. Negotiations between Palestinian and Israeli officials restarted in July, after three-year hiatus. Recently, however, the talks have appeared to be on the brink of collapse, because, as a senior PA member said, Israelis are “determined to continue settlement [expansion] and we cannot continue negotiations under these unprecedented settlement attacks." According to Press TV, this official was not authorized to talk to the media, and must therefore remain anonymous. 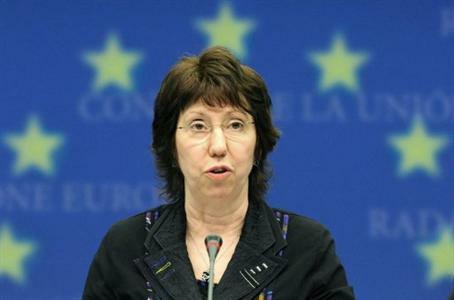 The High Representative of the European Union for Foreign Affairs and Security Policy and Vice President of the Commission, Catherine Ashton, issued a statement on Thursday, condemning the latest announcement of Israeli settlement construction in East Jerusalem. She said, "Following the announcement on November 3rd by the Israeli authorities about tenders for 1,859 settlement units in East Jerusalem and the West Bank, I must reiterate the EU's longstanding policy on settlements." "The EU has repeatedly stated that settlements are illegal under international law and that bold and decisive leadership is needed for the current peace negotiations to succeed," she stressed. Ashton concluded, "The EU deplores the latest settlement announcement and calls on the Israeli government to reverse its decision. Any actions that could hamper or undermine the on-going negotiations must be avoided." Kerry Deems Israeli Settlements "Illegitimate"
US Secretary of State John Kerry has stated that Israeli settlements in occupied Palestinian territories are “illegitimate,” and are proving to be an obstacle to the negotiations between Palestinian and Israeli officials, Al Jazeera reports. He also confirmed that there was no deal in which Palestinians agreed to recognize the illegal settlements as part of the negotiations process. 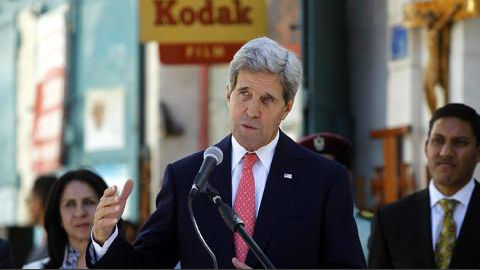 Al Jazeera's Mike Hanna said Kerry's statement was strong for a US politician. "In the past the phrase has been that the Israeli settlements are 'not helpful',” he said, according to Al Jazeera. The Israeli settlements are considered illegal by most countries and under international law because they have been and are being built on lands captured in the war of 1967. Under the Geneva Convention it is illegal for an occupying power to build on the lands it occupies.